To submit, all participants should register as a Reallusion member and submit their videos via the Submission Form before 04/30/2014 midnight/Pacific Time. 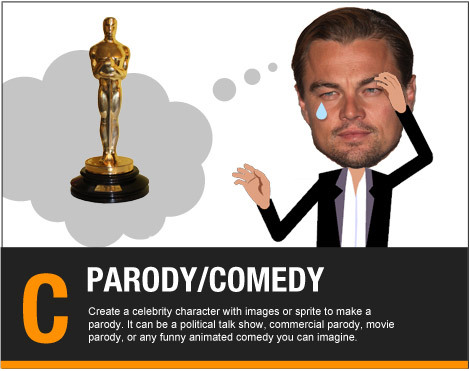 Participants must use CrazyTalk Animator Trial, Standard, or PRO in the creation of their videos. 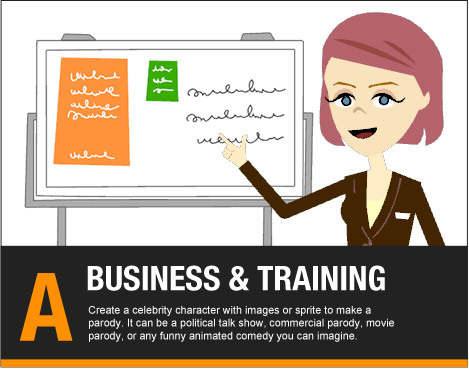 – If you don't have CrazyTalk Animator, then you may acquire a FREE CrazyTalk Animator version here. Participants must fill out the Submission Form with their video title, video desciption, credits, contact information and URL link to their uploaded video on YouTube, SchoolTube, Vimeo or any other free video sharing platforms. Entrants may submit up to three (3) videos for award consideration. 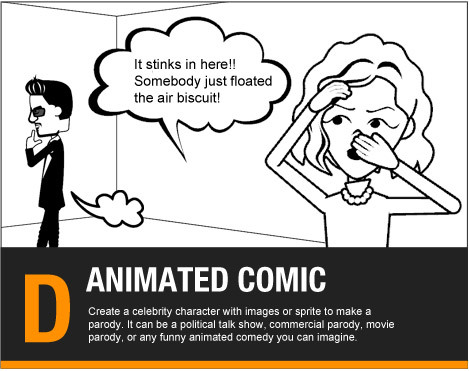 Winners will be posted on the official Animation@Work Competition's page and notified through e-mail. Video entries should contain facial animation and body animations to be considered. 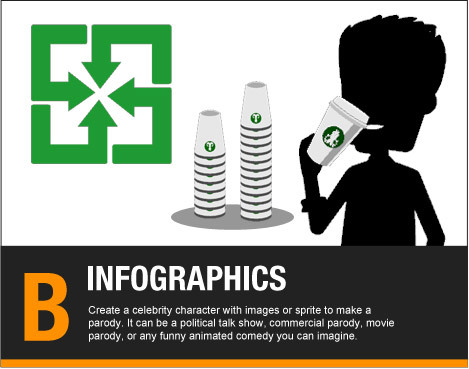 Submitted videos may incorporate footage from other video games or commercial clips for a media mash-up, but the submission would need to have at least 40% CrazyTalk Animator generated footage inside. Video entries may be submitted in any language but they must have English voice dubs or subtitles for Worldwide viewing and appreciation. Take note that this is an international competition. Reallusion reserves the right to disqualify, without notification, submissions done in poor taste including content that is: offensive, defamatory, indecent, or objectionable. The grading of award prizes can be made by "judges' score" or "video popularity" (means the video view in the sharing site). Please refer to the Prizes page to know more about the winning criteria. At Reallusion's request, winners may be asked to provide additional contact information for purpose of prize delivery. Reallusion reserves the right to cancel this competition at any stage, if deemed necessary in its opinion, and if circumstances arise outside of its control or if the number of participants do not exceed the minimum number decided by Reallusion. Reallusion states that all winner announcements are final. Winners will not be chosen based on popularity votes or any other factors other than judgment from the judging panel. By submitting an entry, participants automatically agree and certify that they have read and agreed to all the rules and requirements governing this particular event. By submitting videos, participants also grant Reallusion the permission to use their creative work in any future marketing event or promotion held by Reallusion. Reallusion would like to make clear that it does not profit from this event. All Reallusion competitions are done out of good faith and with the purpose of sharing ideas and bringing communities together.